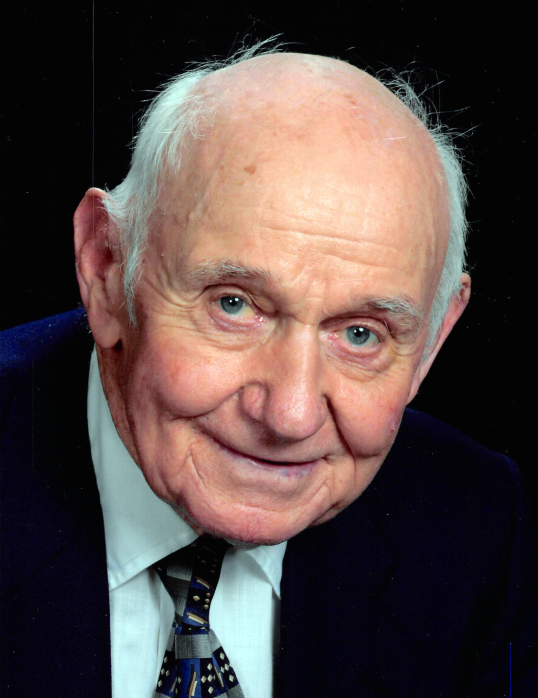 Max V. Anderson, 92, of Monmouth, IL, passed away peacefully at 2:45 pm on Friday, February 8, 2019 at the Marigold Rehab & Health Care Center, Galesburg, IL. Max was born March 2, 1926 at home in Princeton, IL, the son of Frank and Jenny (Johnson) Anderson. He met his wife Joyce Franks while playing in a Rural Youth Basketball Tournament in Erie, IL. They married on May 23, 1948 in Prophetstown, IL, Joyce passed away on May 3, 2017. Surviving are his four children, Rick (Debbie) Anderson of Monmouth, IL, Cindy (Ralph) Schoen of Peoria, IL, Jill (Oscar) Krieger of Mokena, IL, Tamara Einfeldt of Silvis, IL; eight grandchildren, one step grandchild; six great grandchildren; four sister-in-laws; one brother-in-law; and many nieces and nephews. He was preceded in death by his wife (Joyce); parents; brothers: Howard Anderson, Leland Anderson, Leslie Anderson, Virgil Anderson, Clifford Anderson, Lloyd Anderson; sisters: Herma Anderson and Camilla Monier. Max graduated from Wyanet High School in 1943. After high school he farmed with his father near Princeton. In 1966 he moved his family to Monmouth and was head hog buyer with Agar Packing Company in Monmouth. In 1968 he became a salesman for Moorman’s Feed until his retirement in 1991. Max was involved in many organizations. He was a member of the Evangelical Covenant Church in Princeton, IL, and the Wyanet Masonic Lodge. He served as President and school board member of Wyanet School District. He was a member of the First United Methodist Church while also serving on its board. Max was a 4-H Leader and President of the Prime Beef Festival. His many interests included attending county and state fairs, horse shows, and harness races. He enjoyed pitching horseshoes. Max was a master at making homemade caramels, candies, and ice cream. He loved to ballroom and square dance. He also loved watching the Cubs and Bears. Over the years he became involved in Illinois Cornhusking where he placed at both State and National levels. Max will be missed by his family and friends. Funeral services will be at 11:00 a.m., Wednesday, February 13, 2019 at the McGuire & Davies Funeral Home and Crematory, Monmouth. A private family interment will be in Monmouth Cemetery. Visitation will be prior to the service from 9:30-11:00 a.m. at the funeral home. Memorials may be given to the First United Methodist Church or the Strom Center, both in Monmouth.